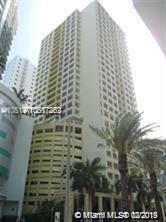 Great price for this amazing Brickell unit with fantastic views. This 1 bedroom, 1 bath features tile floors and updated kitchen with a very large balcony to enjoy the views. Centrally located, within walking distance of great restaurants, entertainment, and Metro Station. Being sold As Is. This unit is price to sell and will not last.